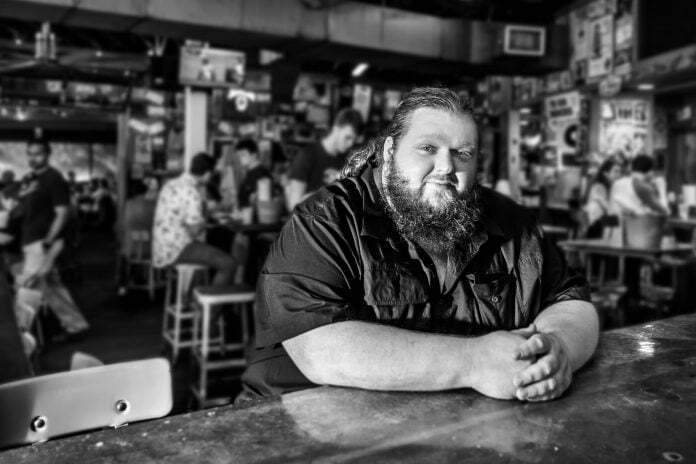 Award-winning Canadian soul-bluesman Matt Andersen today announces the forthcoming release of Halfway Home by Morning (True North Records) — available worldwide Friday, March 22nd, 2019. Unbridled joy springs eternal from Halfway Home by Morning. His tenth full-length release, the album was recorded live off the floor in Nashville, Tennessee and deftly captures the New Brunswick-native’s long-signature and internationally celebrated sound: sweat-soaked soul meets incendiary rhythm and blues, with full doses of heartsick folk and Americana grit mixed in for good measure. Much like legends who graced the space before them — see: Neil Young, Emmylou Harris, and Jerry Lee Lewis, to name a few — Andersen and the band left everything they had on the floor of Southern Ground studio over the course of recording Halfway Home by Morning’s 13 tracks. The recording space, too, soon came to feel like home Andersen. The kitchen fulfilled its all-important role as de-facto ‘war room’ for musicians who join on the release, like Steve Dawson, Jay Bellerose, Chris Gestrin, Amy Helm, The McCrary Sisters (Ann, Regina, and Alfreda), Jim Hoke, Charles Rose, and Steve Hermann, and after the day’s work was done, Andersen and bassist Mike Farrington routinely found themselves kicking back, listening to the horn sections and reminisce about the players they’d shared stages with before. That home-like feel fed the belly and fuelled the fire within Halfway Home by Morning; the release inspires soulful rejuvenation, looking outward at the anxious state of the world and offering a helping hand while, at the same time, searching inward to clarify what really matters. Fakery has never been a factor for Matt Andersen. Nearly two decades into his storied career now, Andersen’s room-shaking, heart-quaking voice has won him countless awards, including two European Blues Awards, seven Maple Blues Awards, plus an International Blues Challenge, and a Canadian Independent Music Association nod, not to mention a JUNO Award nomination, his lengthy tenure as Canada’s resident blues-man speaks for itself. The proof is further in the previous: 2016’s Honest Man debuted in the top five on Soundscan for albums in Canada, following Adele, Justin Bieber, Macklemore & Lewis, and The 1975, and its supporting tour sold more than 25,000+ tickets nationwide. Halfway Home by Morning is available Friday, March 22nd, 2019. Andersen’s tour dates are below, with more to be announced.